This study singled out the important role a protein called pannexin-1 plays in the development of withdrawal symptoms, and led the team to look for drugs that could block this protein. They identified two molecules that could do this, probenecid, which is used to treat gout, and mefloquine, used to treat malaria. As these two drugs are already approved for use in humans, this could greatly accelerate clinical trials, and if they are positive, the use of these drugs to treat dependent people. 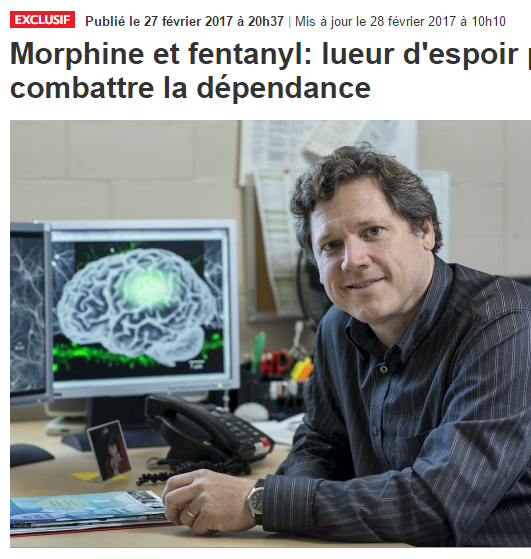 The researchers also demonstrated, in rodents, that these drugs do not block the pain relieving effects of opioids such as morphine and fentanyl.